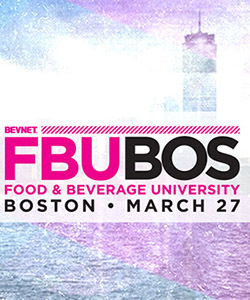 From angels to crowdsourcing to private equity to venture capital, BevNET FBU (Food and Beverage University) Boston will feature a broad look at financial options for new food and beverage companies that will match the lifecycle and needs at all growth stages. Capping a day of granular brand development and sales and marketing strategy, this exclusive look at the spectrum of investors partnering with the entrepreneurial CPG community will help attendees understand the best ways to find financing and utilize the capital they raise without distraction from their core mission. 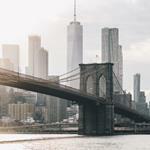 During the event, seasoned investors will introduce themselves, their strategies, and then join in panels comprising early-stage opportunities like angel investors, brand incubators, and crowd-funded opportunities, and continuing with growth capital and mid-to-late-stage private equity funding. 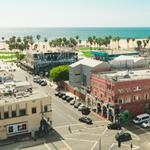 The BevNET FBU speakers come from a range of disciplines and backgrounds, but include some of the most experienced and eager funding sources in the category, as well as experienced board members and financial advisors. Previously announced investors and investment advisors Michael Burgmaier (Silverwood Partners) and Janica Lane (Piper Jaffray) and angel investor/Incubation Station advisor Clayton Christopher. Friday, February 21st is the last day to register for FBU Boston with the early registration discount of $50/person. If you are interested in attending please don’t hesitate and miss this opportunity to save on your registration! Additional discounts are available for active BevNETFBU.com subscribers. Any questions about the event or additional discounts can be directed to Jon Landis at (617) 231-8834 or jlandis@bevnet.com. Sponsorship opportunities for FBU Boston are still available as well. Inquiries should be directed to John McKenna at (617) 231-8825 or jmckenna@bevnet.com.